Pictured (left to right): Karen Aston, Centre Manager at the University of Warwick Science Park’s Warwick Innovation Centre and Susannah Richardson from mplsystems. 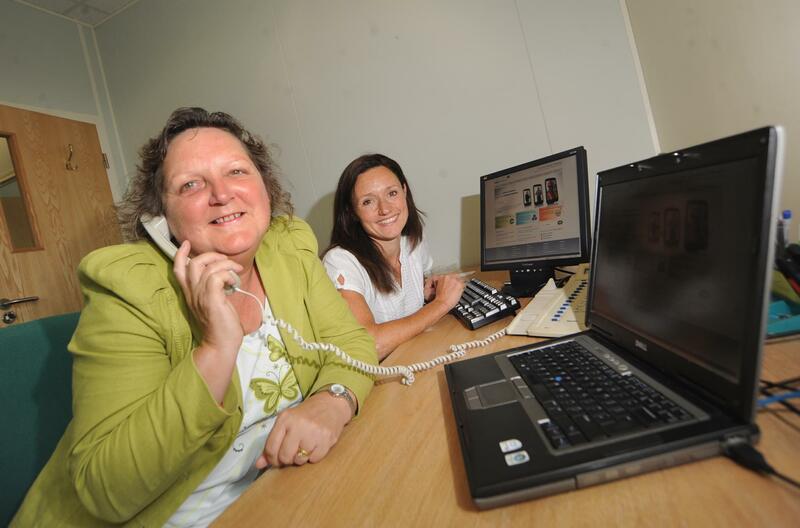 A Warwickshire-based contact centre technology business is making it easier for major firms to stay in touch with their clients. The likes of Balfour Beatty, Staples and the Metric Group have all called on mplsystems, based at the University of Warwick Science Park’s Warwick Innovation Centre, to centralise their customer service operations and bring together different channels of communication. mplsystems was formed seven years ago as the technology division of Message Pad – which had been trading for nine years before that – after various clients expressed an interest in deploying the same platform for their own separate operations. Since then it has grown rapidly, with clients all over the world, and more recently mplsystems has been developing technology in line with various new streams of communication that have risen to prominence. This has included centralising operations for clients operating on a large scale with centres across the country as well as creating flexible cloud based virtual customer service solutions for smaller operations. But developing such new technology is something the firm is used to, says Susannah Richardson from mplsystems. “This business grew out of our own technology that our clients wanted to use for themselves so we have a history of creating new systems to meet various needs,” she said. “At this point in time, a lot of companies are looking to centralise their contact centres and customer service teams. “This is not only to bring it all into one place geographically but also to bring together all the different communication streams that are emerging now. “With things like web chat, mobile apps and social media becoming more and more popular there is a need to marry this with more traditional streams and back office processes and put them in one place to make life easier for the agents. “But at the same time it is important the service is not compromised. One example of this would be in the case of Balfour Beatty when it works with the BBC. “That operation is such that those in the BBC’s various offices know who to contact in their region for assistance and build up a relationship with them. The challenge facing us was to allow Balfour Beatty to offer the same high level of service while centralising the contact centre. Karen Aston, the centre manager at the University of Warwick Science Park’s Warwick Innovation Centre, believes the success of mplsystems demonstrates that new products can quickly become successful. She said: “mplsystems have been with us for seven years and have continually developed fresh concepts that can aid all manner of businesses.